Occasionally, it is necessary or advisable to reboot your server. 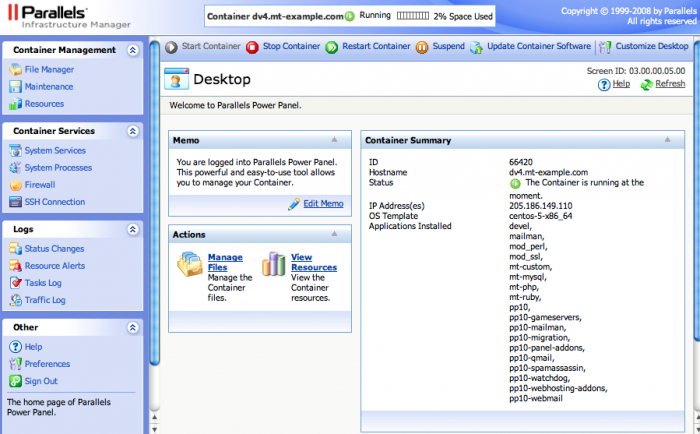 This article will show you the various methods that can be used to reboot your VPS container. Select the primary domain for your server using the Domains menu in the Account Center. 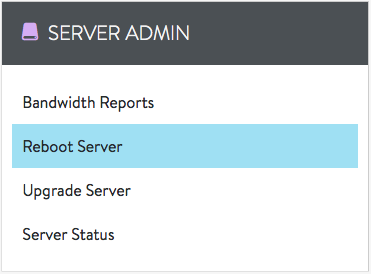 Select Reboot Server from the Server Admin menu. Click on the Reboot Server button. Please allow up to 15 minutes for the reboot to complete. Click on "Restart Container" to initiate the restart.